Looking for a fun way to enjoy the weekend? 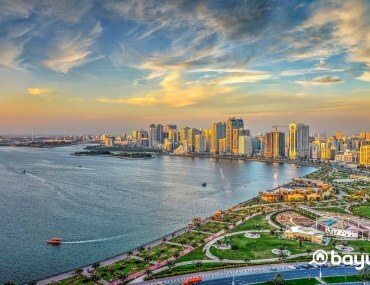 Well, there are many neighbourhoods in Dubai that have several exciting options to choose from, for anyone craving a fun evening with friends. The waterfront neighbourhood of Dubai Marina is one such area in the city where you can enjoy a spectacular evening with friends- whether it is watching footy in quaint bars or dancing the night away in vibrant nightclubs. 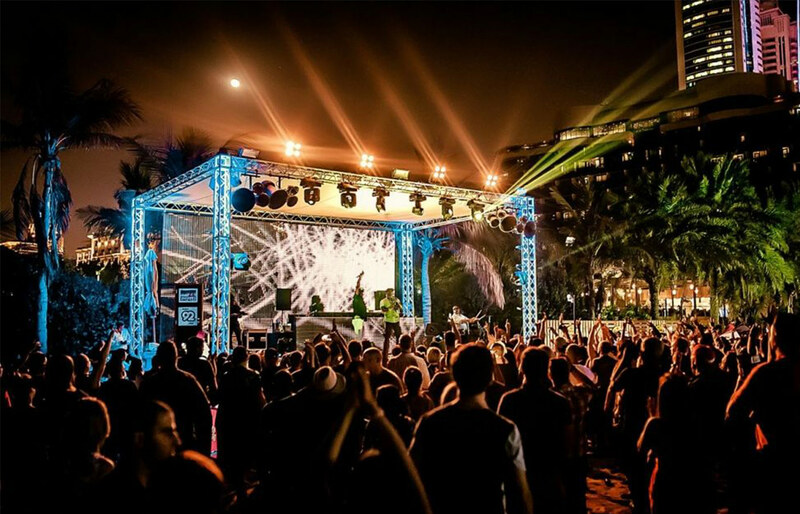 So to help you navigate around the many watering holes in the edgy neighbourhood, MyBayut brings you a list of all the best bars in Dubai Marina! Here are all the most popular bars in Dubai Marina that are a constant favourite amongst residents. Featuring amazing views of the beachside, Jetty Lounge is known to be one of the best lounges in Dubai Marina to head to for a night about town with a group of friends or for a laidback dinner with that special someone. You can either sit indoors or outdoors on the beachside and enjoy their amazing selection of drinks and finger food. 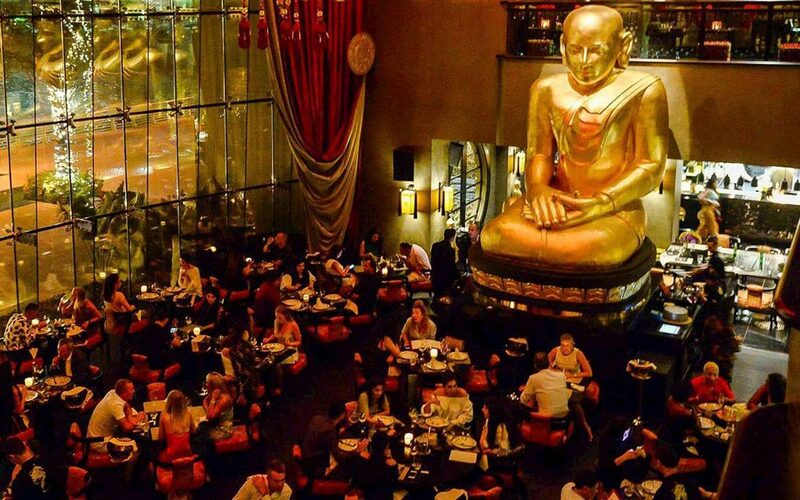 Next up on our list, we have the renowned Buddha Bar! 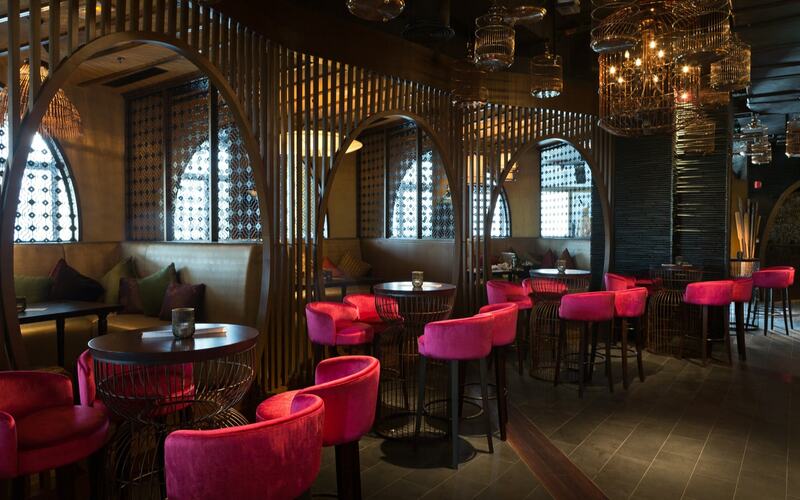 Known for its sublime ambience and trendy interiors which feature an impressive Buddha installation that overlooks the entire bar, Buddha Bar is considered to be one of the best bars in Dubai Marina. The drinks and dishes served here are delicious and will definitely leave you wanting more! For a Mexican twist to your weekend out, head over to the Maya Mexican Kitchen + Bar. Known for its colourful ambience and live music, this is the place you should head to if want to enjoy Mexican classics like guacamole and tacos over drinks! If you are looking for a casual bar in Dubai Marina, Barasti is the place to be! Loved for its relaxing beach-vibes and live music this beach bar in Dubai Marina is a popular spot during the weekends, Not only does it offer an amazing atmosphere but it also has live sports screening and brunch too! It is definitely the place to be if you are looking for the perfect balance of music, food and cocktails. If you are looking for an elegant and classy bar in Dubai Marina, Toro Toro in Grosvenor House offers an unmatched and luxurious dining experience like no other. Diners get to enjoy from an array of authentic Latin flavoured dishes, along with uniquely crafted drinks. This place is well-known for their popular ladies night offer, ‘Dulce Maria’ that takes place every Monday evening, where ladies get three Latin-infused beverages on the house! If you are looking for bars and lounges in Dubai Marina with rooftop views, head to any of these amazing places. Overlooking the marina and its tall skyscrapers, Atelier M is considered to be one of the best rooftop bars in Dubai Marina. You can enjoy fine contemporary and international cuisine with a twist while taking in the stunning views of the yachts sailing on the marina. They also offer shisha and have a great Happy Hour deal that runs from Sunday to Thursday and Saturday from 6pm-11pm where you can get to enjoy certain drinks for just AED 30! Serving Mediterranean cuisines, Shades in Address Dubai Marina is a well-known rooftop bar in Dubai Marina that is popular for its chilled-out vibe. Their outdoor seating option is right beside a stunning infinity pool where visitors can enjoy their large selection of food and drinks, along with shisha. If you are looking for a rooftop lounge in Dubai Marina that serves authentic Asian cuisine, Asia Asia is where you should go! Their trendy interiors and spectacular marina views paired with delicious Asian food, provide the perfect setting for a fun evening out. The happy hour ar Asia Asia runs every Thursday from 6 pm to 1 am and they also have a great Friday brunch from 2 pm – 5 pm starting from AED 329! Cargo is another splendid spot on the Pier 7 in Dubai Marina that offers its visitors a magical ambience thanks to its versatile menu, live music and spectacular views. It is a popular spot thanks to its ladies night offers, which runs every Tuesday from 8 pm to 2 am and happy hours which take place every day from 5 pm to 8 pm. There is a great selection of bars in the Dubai Marina. For all the sports fans, here are the best sports bars in Dubai Marina. With multiple outlets across the city, Nezesaussi Grill is one of the best sports bars in Dubai. 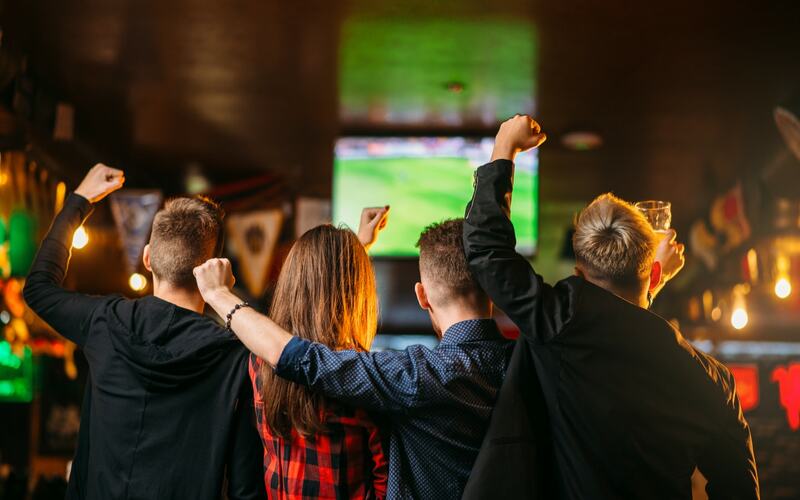 It is adorned with sports motifs all across its walls and is one of the pubs in Dubai Marina that have large screens positioned all around so that sports fanatics can enjoy watching their favourite teams play. They also serve a hearty menu of dishes that go perfectly with the bottled hops. If you are looking for a sports lounge in Dubai Marina that offers outdoor seating and a great selection of Middle Eastern food, the Rooftop Terrace & Sports Lounge offer just that! It’s cosy ambience and beautiful views from the One&Only Royal Mirage hotel are the perfect pairing for a fun evening. Their happy hours run from 6 pm to 7 pm every day. Nell Gwynne is another popular pub in Dubai Marina that is the perfect place to head to if you are looking for the quintessential British sports bar in Dubai. This English pub serves authentic English pub-grub and comes with several large screens where the live action is streamed. They also have a pool table and live music offering some great entertainment. As you can see there are plenty of bars and pubs in Dubai Marina that you can take your pick from! Have we missed any of your favourite bars in the area? Send us an email at social@bayut.com with your suggestions! If you are looking for more fun things to do in the area, here are 5 amazing yacht experiences in Dubai Marina. WIN AED 500 by participating in our survey! 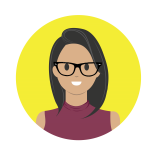 How hard is it for moms to find jobs in Dubai?